Charles Barkley is a funny analyst for CBS—even when he’s not trying to be. Barkley is first seen trying to advance Colorado past UConn, but instead pushes the wrong button and advances “Home Team Name 2” into the Sweet 16. After getting corrected by host Ernie Johnson, Barkley then can’t seem to push the right button to show Maryland advancing into the second round. 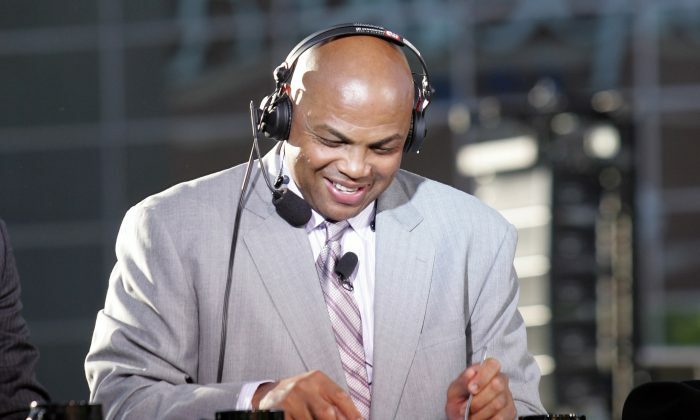 After much laughter on the set Barkley presses the right button and the Terrapins are into the Round of 32. Then later, Barkley accidentally puts Wichita State past Arizona and into the second round when he was just meaning to advance the Shockers past Vanderbilt in the “First Four” round. After hitting a few more buttons (and getting more instructions from Johnson and Kenny Smith), Barkley finally gets the Wildcats past Wichita State. After Smith makes fun of Barkley’s habit of lotioning his hands too much, SI’s Seth Davis gets up to do the next region but first thanks Barkley “for setting the bar so low,” eliciting laughter from the rest of the set—including Barkley himself. Apparently someone was tired of waiting for CBS's selection show to end.